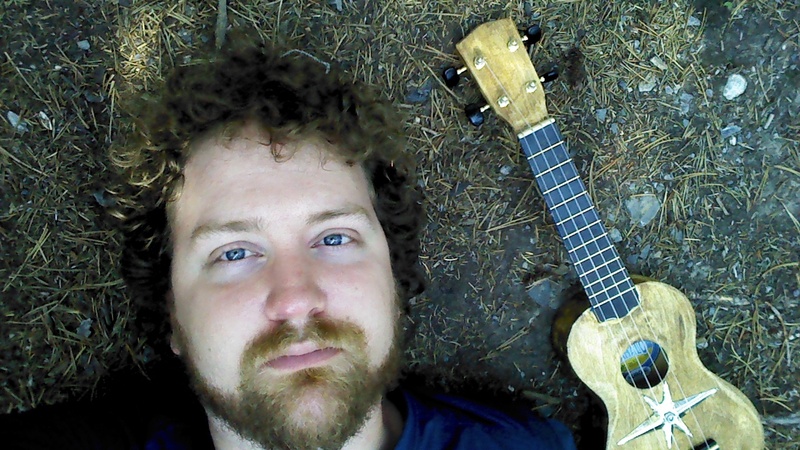 Back in 2009, before I rode my bike from Edmonton to Thunder Bay, I went to the now-defunct Gordon Price Music and purchased a $20 ukulele. The idea being that I’d have something to practice on, loosen up my hands after a day of riding, and if it got crushed in transit I would just buy a new one. 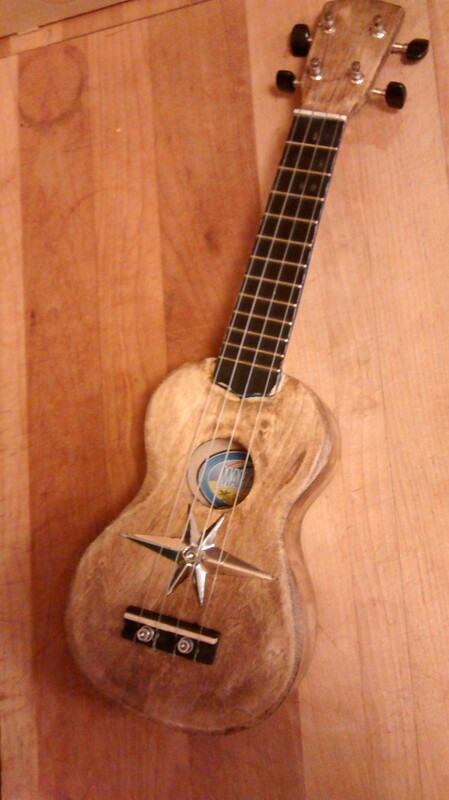 It was the chosen one of $20 ukuleles. The variance in the factory tolerances, so lenient that the usually only generate crap, had aligned: The tuning pegs held tune, the bridge was at just such an unsquare angle that the shoddy intonation was compensated for, the pine plywood just dense enough to generate a loud, bright tone. 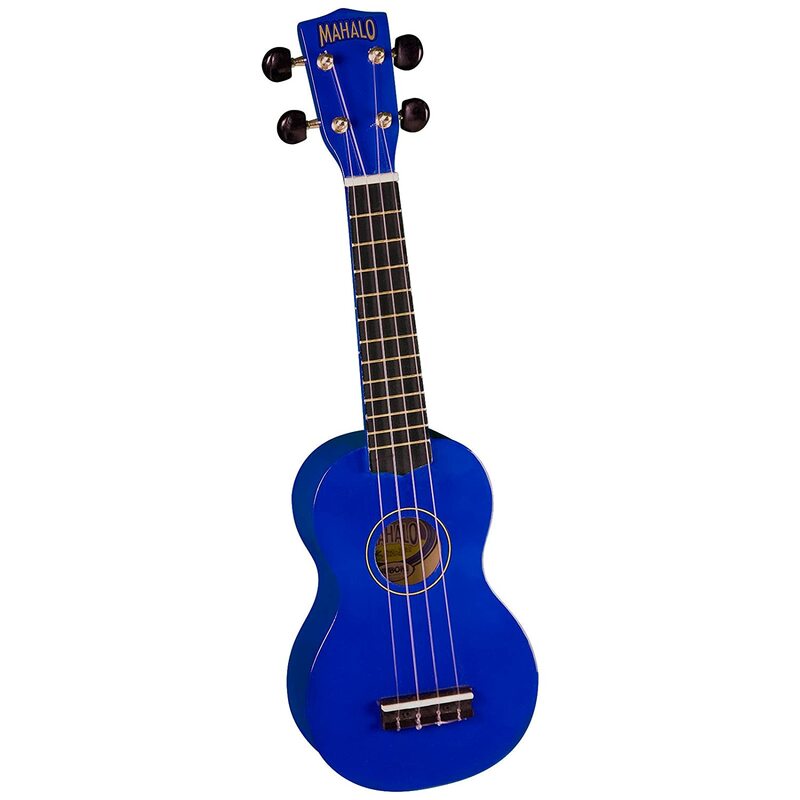 This uke travelled with me far and wide, and although I did eventually buy a more professional uke with a properly made neck and a pickup and everything, I’ve made sure that the blue uke stayed in rotation. It’s so tiny and light, it fits in most bags and it’s almost good enough to be a real instrument. Canadian standard tuning, too, which gives it a different range than my concert uke. It’s an intentionally rough finish and stain Although it might be a little more rustic than I was planning. It’s been urethaned and sanded smooth. The bridge got drilled, superglued and remounted with some m5 bottle cage bolts. If it pulls out again, the ukulele is over. The star is off a vintage laundry hamper, and I’ve been looking for an awesome place to put it for years. I left the back of the neck in the original blue just so I didn’t have to sand it smooth, because I’m not sure I have it in me to get a factory finish on it. It still sounds pretty good, although maybe not quite as bright as before. Here we are lying in the forest at the side of the road near Bridal Veil Falls. This entry was posted in Bikes, Music, Stuff I made and tagged bike parts, bike tour, instrument, music, refinishing, restoration, uke, ukulele, woodworking. Bookmark the permalink.